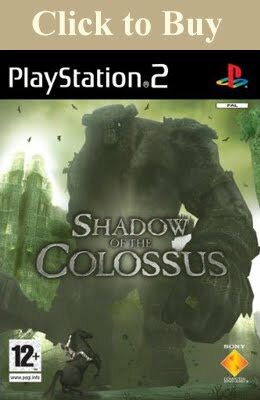 One life, infinite chances; both Ico and Shadow of the Colossus utilise this method of replaying a lost attempt to beat the game. Lives are something which seems to have been lost over time and as games become more complex, it’s an agreeable loss. On the other hand, lives do force the player to consider their actions to the point where mistakes can be very costly. It harks back to the golden age of videogames where lives were used to limit the value of game time, as most games were arcades and required money to play. In the age of home consoles this limitation has been lost but it doesn’t mean that lives can still play a role in modern gaming. A different approach to lives would be to record deaths. This way the challenge is still there to complete a challenge using as little resources as possible. Grand Theft Auto IV does this as well as recording a multitude of other events such as helicopters destroyed or bullets used. After completing Shadow of the Colossus nine times I’d be interested to find out how many times I’ve died in the process, how far Agro and I have travelled or how many lizard tails I’ve eaten. Beyond painstakingly recording these events manually there is no provision for such a feature but it’s something I find interesting, if perhaps not terribly useful. Perhaps The Last Guardian will provide this feature, but I’m not holding out. In some ways I agree - it would be interesting to see those things and know, but I kind of feel like they would distract from the point of the game, you know? 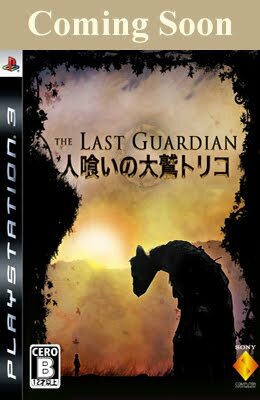 I highly doubt that The Last Guardian will have such statistics, and I can't say that I'm sad about that. Similarly, I am sad that the game will have to have trophies - I dislike them in general, but especially in this I think it will be distracting and impact the experience negatively. Regardless, though, I can't wait for this game. I think it's better this way, that´s the essence. Once every generation a boy is born with horns. 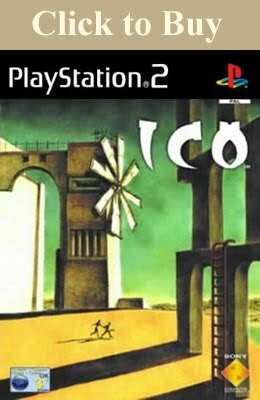 Thought to be the minion of an evil spirit, the afflicted but innocent Ico was brought to a deserted castle to be sacrificed for the good of the village's community. After the villagers bury him alive in a castle tomb and leave him for dead, he is able to break free of his confines; he then learns of a beautiful young princess who is likewise held captive. From there he embarks on a challenging course through the castle ruins to save her and himself. Following a voice from the heavens, you embark on a dark and dangerous quest to seek out and slay the enormous wandering monsters that roam this strange world. Only you can defeat these formidable Colossi, and in doing so, only you can bring life to the girl who lies waiting on the altar. The game will revolve around the developing friendship between a boy and Trico, a giant, feathered creature resembling a griffin, referred to as an "eagle" in the Japanese title. The creature has spears and arrows stuck in its back, and is initially bound to a chain. Later, it is freed and is shown attacking an armored soldier. Screenshots, as well as the E3 trailer, show the boy attempting to sneak past and attack other soldiers. Due to be released sometime in 2015.